This morning we head up to Osaka, to continue our holiday trip in Japan. 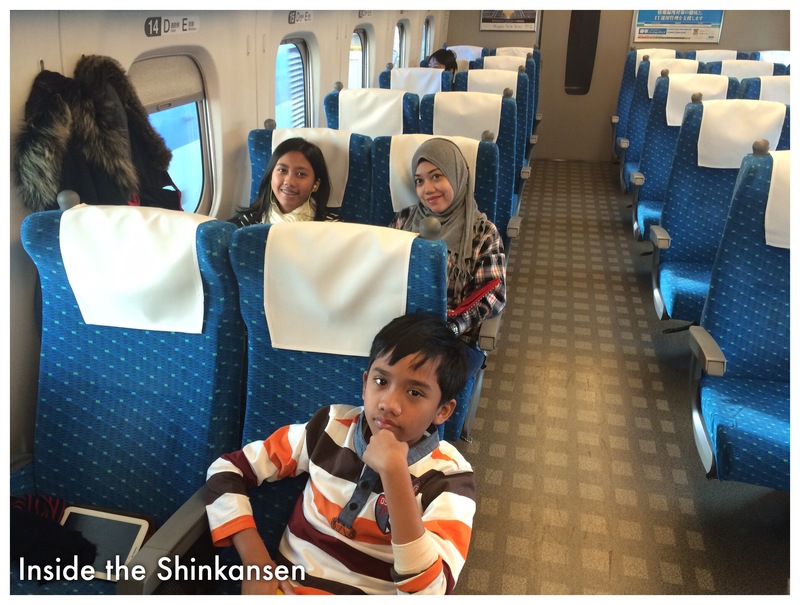 We left Tokyo early in the morning, taking the bullet train Shinkansen Hikari at 06.26 am. Tokyo JR station is very big, airport-like train station. 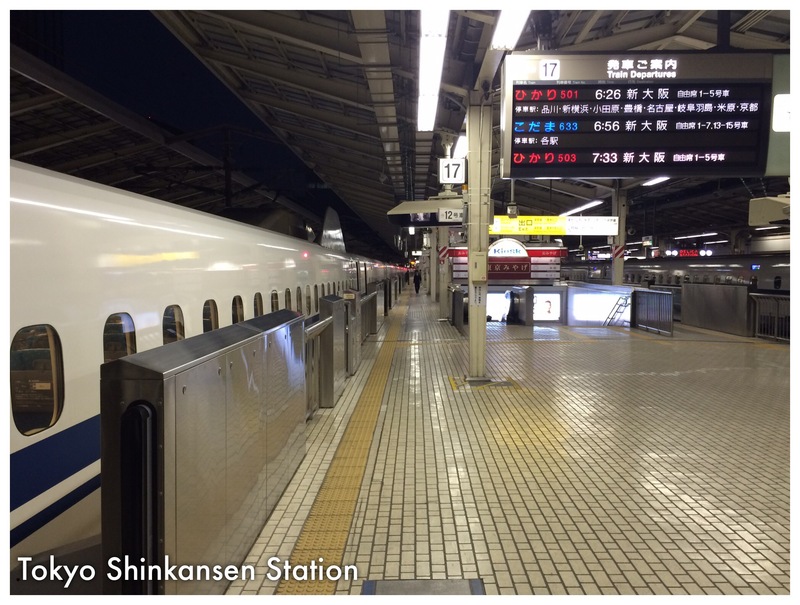 It’s clean, it’s modern, show how vital these Shinkansen railways as part of Japanese people commuting life. 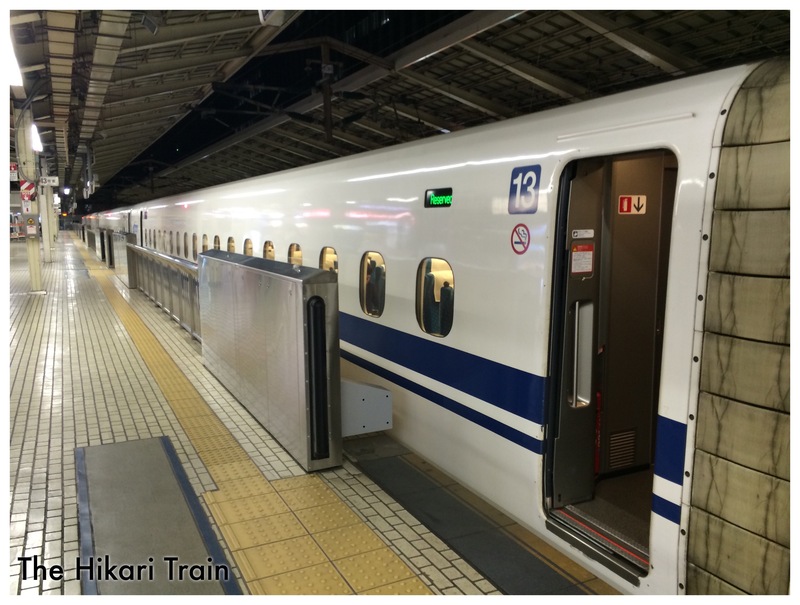 We ride the Hikari shinkansen, the second fastest Shinkansen, with top speed of 270 kph. But this Tokyo-Osaka line has many stops, hence the 507km distance is travelled by 3 hours, average speed of (merely) 168 kph. Not bad, imagine The taking this train in Java, Jakarta-Semarang can be reached less than 3 hours. That would be neat. 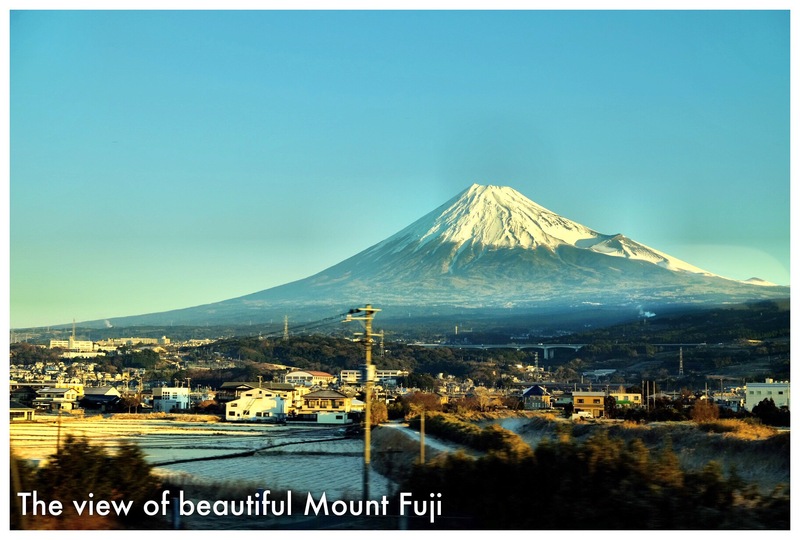 It was very pleasant and smooth ride, with a big bonus: the beautiful scenery of Mount Fuji in sight. Alhamdulillah.